Providing functional use and retro modern-styling for your home is the Frolic Collection. 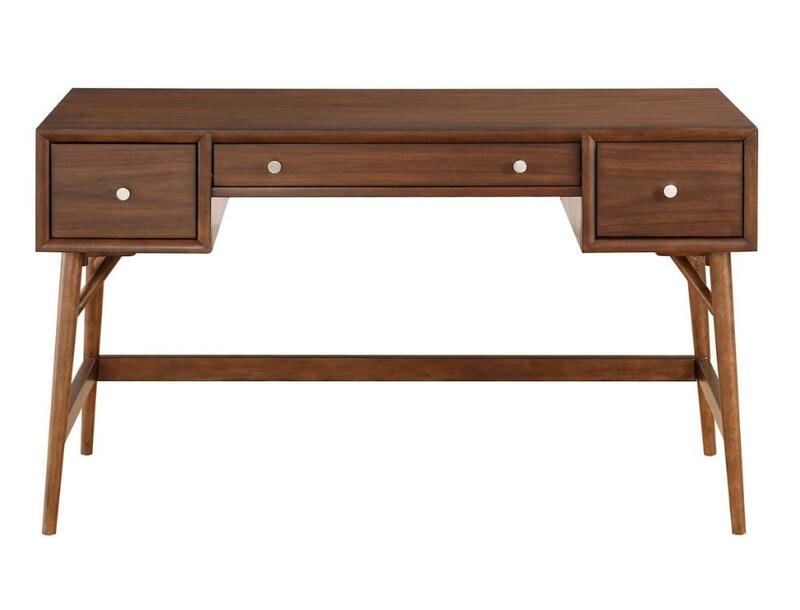 The counter height desk and writing desk allow for perfect placement within your home to fit your individual needs. The brown finished combined with polished nickel knob hardware and a Mid-Century inspired profile, all blend effortlessly to create this stylish home collection. 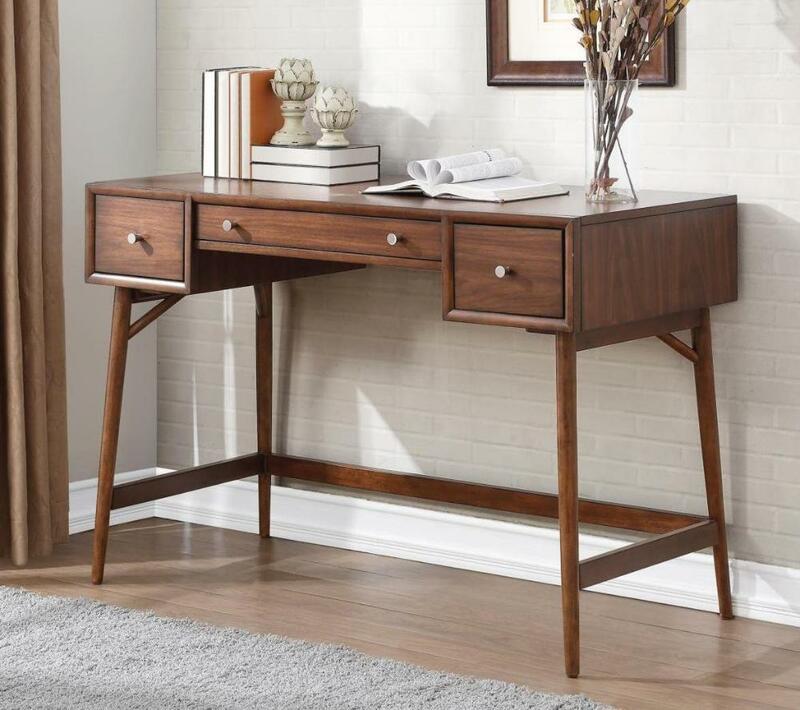 FEATURES: Brown Finish ~ Mid-Century / Modern / Classic Style ~ Polished Nickel Knob Hardware ~ Two Desk Options Available.